Part one of a three part in depth feature on Vigilantism in South featuring Operation Wanya Tsotsi from Galeshewe, Kimberley. Operation Wanya Tsotsi members gather around as a man is administered a “blessing” for being in possession of a knife and drugs. On a cold July evening in the township of Galeshewe on the Western flank of Kimberley, members of Operation Wanya Tsotsi gather at dusk on an open patch of ground beside the main thoroughfare, where they discuss cases for the night ahead. Some members are wearing branded orange and yellow high visibility vests; others are sporting new all-in-one navy blue Operation Wanya Tsotsi overalls, sponsored by a local night club. Most of the cases for the night pertain to robbery of personal belongings and house break-ins, with the stolen goods ranging from cell phones and plasma TVs to braai tongs and lawn mowers. According to Pantsi Obusitse, the group’s chairperson, almost all of these crimes are committed at knife-point. “We live in a knife-infested community,” he says. Obusitse, a 37-year-old Labour Relations Officer for the Department of Education, is one of the founding members of Operation Wanya Tsotsi. The controversial community crime-fighting group initially formed in March 2015 to combat rampant gangsterism and violent crime in Galeshewe that had culminated in a spate of gang-related murders claiming 17 deaths in a matter of weeks at the start of that year. 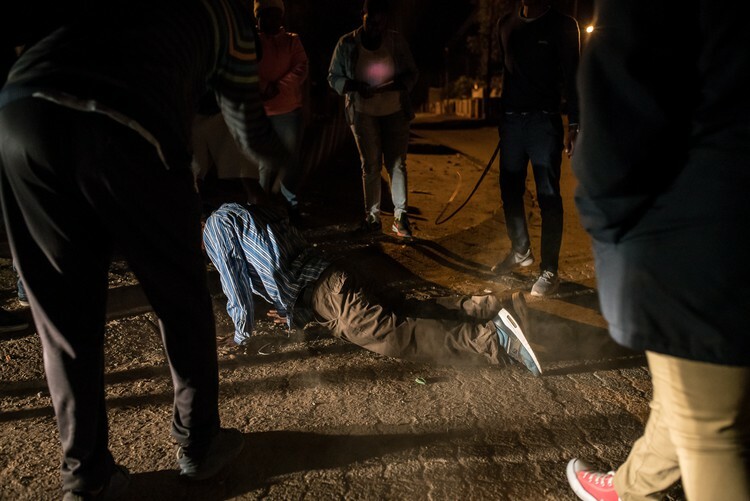 Just a few days later, an angry crowd rounded up eight of the alleged gang leaders, beat them, stripped them, and marched them through Galeshewe to the police station with tyres around their necks. The captors were armed with sjamboks and hockey sticks; some of them threatened to douse the tyres with petrol and set them alight. 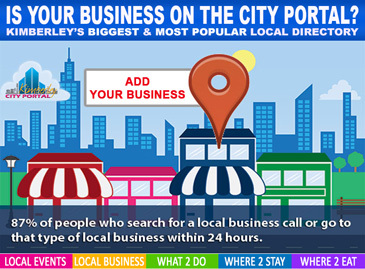 “Whether or not you agreed with what they were doing, it was definitely going to make an impression. It was a very strong statement,” Swart says, adding that Operation Wanya Tsotsi quickly gained “overwhelming support” within Galeshewe and even in Kimberley itself. Operation Wanya Tsotsi confiscate large numbers of weapons, drugs and drug memorabilia, which they usually hand over to police on a quarterly basis. The group’s initial popularity has since been cemented by its ability to achieve results where, local residents say, the police have largely failed. When GroundUp visited Galeshewe in April and again in July, numerous Galeshewe residents claimed that Operation Wanya Tsotsi had single-handedly put a stop to the growing trend of gangsterism in the township. A satellite branch of Operation Wanya Tsotsi that began operations in the nearby rural town of Ritchie in early 2016 provides an even more compelling statistic. The town’s Rietvale High School closed for months due to gang warfare in 2015. It went from a 35.3% matric pass rate that year to 94.1% at the end of the 2016 school year. According to the school’s principal, this dramatic turnaround was largely thanks to Operation Wanya Tsotsi. 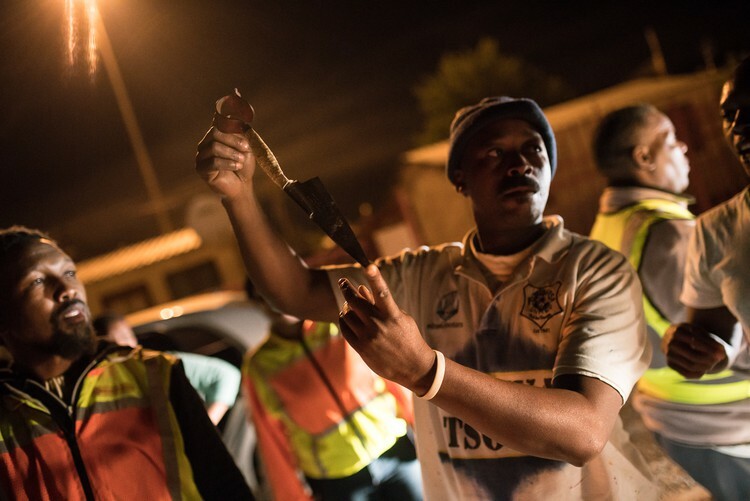 Back at the meeting place in Galeshewe, at about 6:30pm, a convoy of five vehicles filled with members of Operation Wanya Tsotsi sets off on its nightly patrols through the labyrinthine streets of Galeshewe. Groups of children chant “Wanya Tsotsi! Wanya Tsotsi!” as they catch sight of the branded uniforms and vests. When members jump out of their vehicles to carry out routine stop and searches, other residents approach them and tell them to keep up the good work as they rifle through bags and pockets looking for drugs, knives or stolen property. Whenever Operation Wanya Tsotsi finds anyone in possession of any of the above, the culprit is forced to pose awkwardly for photos, holding the incriminating item aloft and looking straight into the camera. These images will later be uploaded to Operation Wanya Tsotsi’s Facebook page, which has almost 12,000 followers. Being publicly shamed on Facebook is a powerful form of punishment in a community like Galeshewe. It is a close-knit one where people know each other’s business, and certainly isn’t exempt from a global social media culture that thrives on public humiliation. 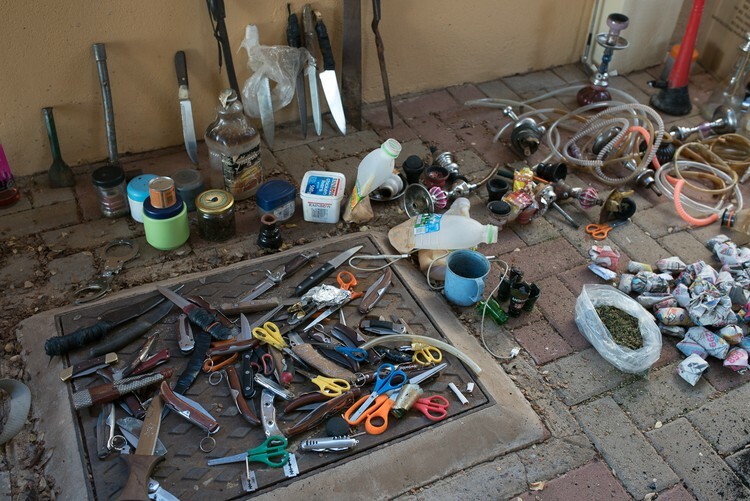 Those found in possession of knives, drugs or stolen goods are forced to pose for pictures, which are then uploaded to Operation Wanya Tsotsi’s Facebook page. Once the photos have been taken, the offender is generally forced to lie down on the ground where they are lashed over the buttocks a few times with sjamboks. This highly ritualized and celebrated aspect of Operation Wanya Tsotsi’s modus operandi is euphemistically known as a “blessing” and often draws effusive encouragement from onlookers. According to Dr Mary Nel, a Stellenbosch Public Law lecturer who wrote her thesis on South African vigilantism, much of Operation Wanya Tsotsi’s popularity is likely premised on the instant gratification of these “blessings”, in comparison to the often tardy and ineffectual response from a grossly under-resourced police department and a creaking criminal justice system: “The violence holds a lot of appeal for many people because they can see justice being done there and then,” Nel concludes. The same could be said of Operation Wanya Tsotsi’s uncanny ability to swiftly track down suspected robbers through their expansive community network and then force them to return stolen property directly to the rightful owners. Nel points out that SAPS, in contrast, will often keep stolen items as evidence in affiliated cases, which can take months or sometimes years to go to trial. 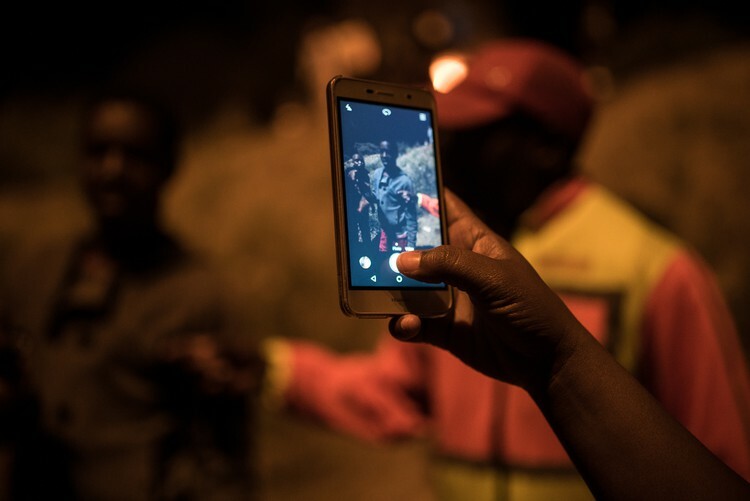 During the course of patrols on that cold July evening, sure enough, the group’s Operations Manager, Spencer Plaatje, receives a call from a local police officer asking Operation Wanya Tsotsi to come and assist with apprehending a suspect who Plaatje tells GroundUp has been involved in multiple robberies, house break-ins and stabbings over recent months. The group’s convoy pulls up outside a tavern called New Jack City with loud music distorting through the speakers inside. Some of their colleagues have already managed to capture the suspect, who is now seated in the back of the police officer’s vehicle; a few members of Wanya Tsotsi lean through the window and slap him hard across the face as the police officer looks on. The suspect is then pulled out of the vehicle, where he is kicked in the shins and jabbed a few times with a Taser before being pushed to the ground and administered an enthused blessing; he shrieks in pain with each strike of the sjambok. Shaking, crying and clearly in shock, he is loaded back into the car and driven to Galeshewe Police Station. He’s lead to the holding cells at the back, from where his occasional shrieks and wails can still be heard. As Operation Wanya Tsotsi’s members mill around outside the police station bouncing cigarettes and cold drinks, another police officer walks outside and tells them he recently had his firearm stolen. He asks Plaatje if Operation Wanya Tsotsi perhaps has any leads. On various occasions, we witnessed police cars passing by as Operation Wanya Tsotsi members conducted stop and searches or administered blessings. Sometimes the police even stopped to greet members before driving on. But while many police officers on the ground are evidently happy for Operation Wanya Tsotsi to pick up some of their substantial workload, and will turn a blind eye to their illegal methods, the group’s relationship with police management, as well as local government, has been more complicated. Scores of charges have been laid against members of Operation Wanya Tsotsi since its inception. Obusitse says he has been arrested so many times that he has lost count. He’s currently out on bail after being charged with kidnapping and assault, with a court date set for 21 September. Obusitse claims that certain high ranking police officials are guilty of “manufacturing charges” against him and other members of Operation Wanya Tsotsi. SAPS spokesperson Mohale Ramatseba declined to comment on such accusations. A member of Operation Wanya Tsotsi holds up a sheep shear confiscated during routine stop and searches in Galeshewe. Whatever the case, as long as Operation Wanya Tsotsi continues to rely to any extent on the use of violence, there is little hope of gaining overt, meaningful support from official community policing or criminal justice frameworks. Obusitse and Operation Wanya Tsotsi’s executive committee have therefore sought other means of achieving a certain legitimacy beyond the community in which the group operates. The group, which has so far largely been funded by small donations from local businesses and from Obusitse’s and other founding members’ own pockets, recently became a registered NPO. Obusitse says that he has put forward a proposal seeking funding from the Department of Social Development to assist with various skills development and employment initiatives as part of the department’s Expanded Public Works Programme (EPWP). The group has already been running small scale reintegration programs, such as Sunday soccer matches between Operation Wanya Tsotsi members and ex-offenders that they have “blessed”, as well as workshops for former drug users. “Currently, it is too often the case that once you’ve given someone a criminal record, you have closed so many doors that the only option that they’re left with is to go back to jail by committing more crime,” Obusitse says. 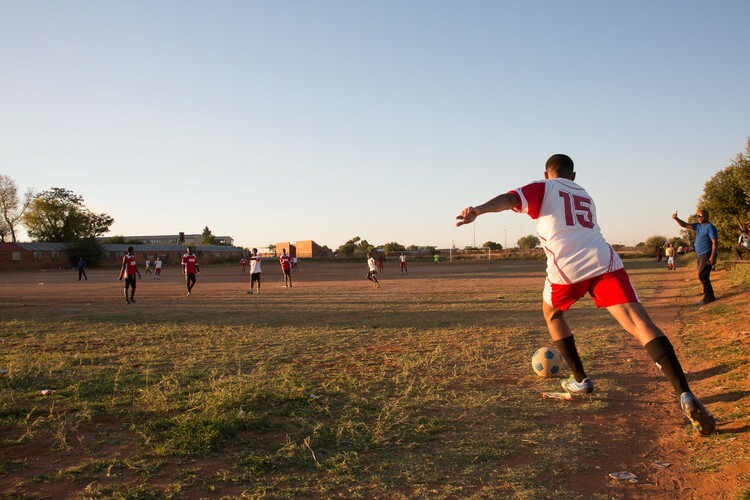 Ex-offenders play soccer against a team of Operation Wanya Tsotsi members on a Sunday evening in Galeshewe. With limited resources and no funding, the group’s ability to address the root causes of crime in Galeshewe, and other inter-related social ills such as widespread drug abuse, is severely hamstrung. A combination of the financial constraints and the pending court cases has also taken its toll on the number of members and vehicles going out on nightly patrols. “We once had almost 500 hundred active members, but most of them have left,” Obusitse says. When out on patrols with Operation Wanya Tsotsi in July, there were never more than 20 members present; sometimes there are fewer than ten. But Obusitse insists that ebbs and flows in membership are normal, and that numbers always take a dip in the winter months, when crime is also lower. Nevertheless, it’s clear that the demand for Operation Wanya Tsotsi’s assistance is growing as Galeshewe, like many townships across South Africa, continues to expand at a rapid rate. At the end of July, Operation Wanya Tsotsi was called to attend a community meeting in a new temporary relocation settlement on the outskirts of Galeshewe, where tin shacks are still being noisily erected as Obusitse addresses an expectant crowd of a few hundred local residents. A few days earlier, local community members told journalists from the Diamond Fields Advertiser that they were being targeted by groups of criminals, and that if they caught any of the perpetrators, they were going to burn them alive. With the community claiming they have lost faith in the police and their local ward councillor, Obusitse has been asked to intervene. With the ward councillor standing sheepishly beside him, Obusitse placates the crowd, then tells them that they must come together and stand up to crime as a community in a constructive way. A young man walks off to his shack and returns with a sjambok gripped tightly in his right hand. 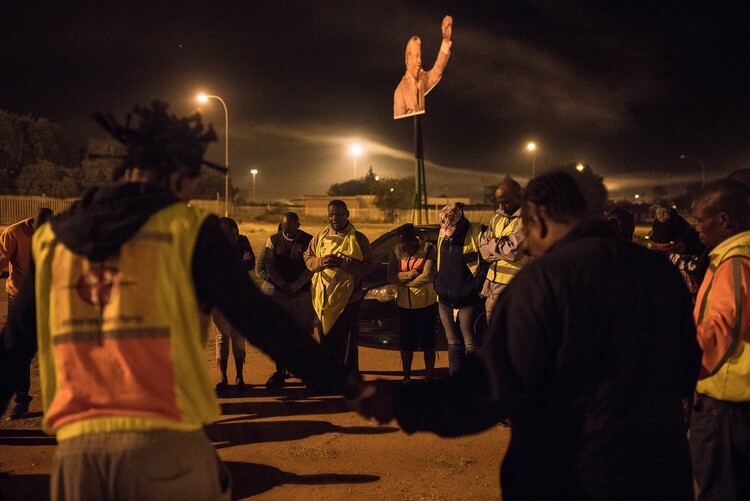 Members of Operation Wanya Tsotsi bow their heads and join hands in prayer before embarking on evening patrols.